I’ve had a fascination with the Middle East since I was a young teenager. So, when I spotted a poster for ‘Cairo to Constantinople, early photographs of the middle East’, I was keen to have a look. This exhibition is basically a photo diary of a journey around the Middle East made by prince Albert Edward, the prince of Wales, in 1862. The photos were taken by Francis Bedford, who was the first ever photographer to be commissioned on a royal tour. 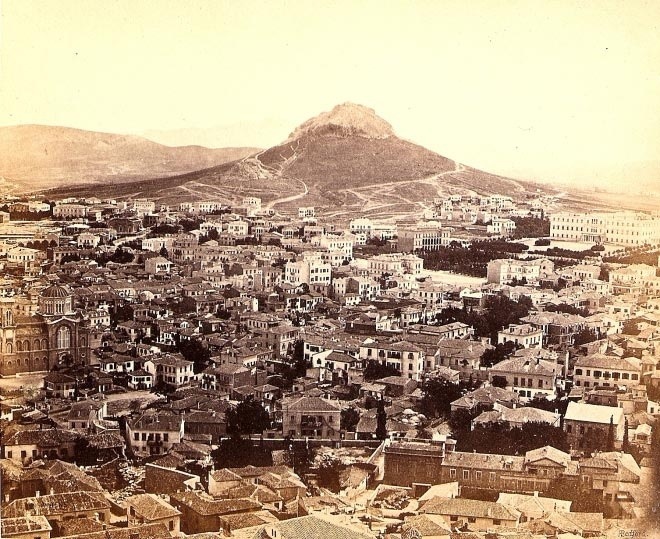 Albert and Queen Victoria sent their son Bertie off on a four month voyage that started in Egypt, went through Syria and Lebanon, Turkey and Greece, with a quick stop on Malta, and then back home. The photographer, Bedford, had to work extremely hard to produce his images. He was using the ‘wet collodion process’. This required the photographic material to be coated, sensitized, exposed and developed within the span of about fifteen minutes. Bedford had to put himself in a tiny tent, in the Middle Eastern heat, surrounded with fumes from the chemicals he was using: a very inconvenient and unpleasant process. 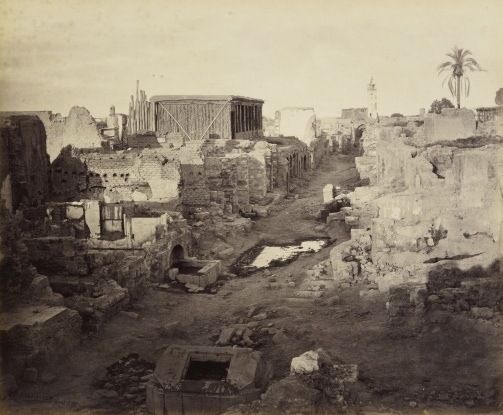 The result of his hard work was possibly the first opportunity the British public had to actually see what places like Cairo and Damascus actually looked like. Just think about that the next time you upload a photo onto facebook. How easy (and quick) is it, to just take your phone out of your pocket, click, and share with people all around the world? I was also thinking, though, that some things are not so different. There were two images that made a particular impression on me. The first was called ‘The street called straight’. It was taken in a village near Damascus. It showed a street which had been utterly devastated by conflict and violence during the Druze-Narinite Massacre. (This was a horrid fight between Christians and a particular sect of Muslims, during which many lives were lost.) It just made me think that conflict and violence is certainly not a thing of the past in the Middle East, least of all in Syria. The second photo I loved looking at was taken in Athens; no surprises there. It showed the magnificent view from the Acropolis, onto the city centre. It was fascinating to see the buildings in Plaka, some of which are still there. In fact, I walked around with my hubby a few months ago. The Greek parliament building also looked unchanged. The exhibition is on at the Queen’s Gallery at Holyrood Palace. If you are around Edinburgh between now and July, it’s worth taking a look. Entry is £6.25 for adults, and once you’ve bought the ticket, you can re-use it for a year, as long as you sign it and get the staff to stamp it for you. For me, it provided the perfect activity on a rainy day off.